Gil Scott-Heron, who died yesterday at the age of 62, is best known for the spoken-word single “The Revolution Will Not Be Televised.” His influence on black culture, political poetry and music is tremendous, but what about documentary film? Well the title of his most famous track has been borrowed for the title of one prominent non-fiction film: Kim Bartley and Donnacha O’Briain’s 2003 film on Hugo Chavez, which unintentionally/fortuitously documented the attempted coup in 2002. 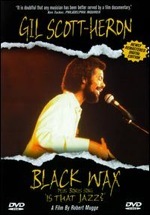 And then there is Robert Mugge’s “Black Wax,” a 1983 music doc focused on Scott-Heron as he performs in and walks around D.C. and hangs out with wax figures of political and historical figures. You can’t rent it from Netflix as it appears to be out of print, with new DVDs selling for about $80 on Amazon — VHS copies are only $3, though. There are at least a few clips here and there on the web, one of which — I think it’s the beginning — you can check out after the jump. Where are the True Summer Doc-Busters? How anyone would think a documentary would make a lot of money is beyond me, and I love the darn things. A Justin Bieber concert film, okay, that should be called a doc-buster. Disneynature’s latest Earth Day feature, titled “Al Gore Presents: Global Warming is Making These Cute Baby Animals Sad.” Oh yeah. Doc-buster. A Michael Moore film featuring penguins getting launched into the air inside a portable toilet, in 3D? Maybe that’s a doc-buster. But you really just never know with docs what will be a phenomenal hit and what will fall by the wayside. “Race for Space,” which lost to the only other feature doc nominee of 1960 (“Serengeti”), was Wolper’s first of two directorial efforts (the other is a 1961 doc titled “Hollywood: The Golden Years”), and it’s sadly not available in any format I can find. I stumbled upon it while looking for films about Yuri Gagarin and the Soviet cosmonaut program since today is the 50th anniversary of the first manned space mission. Wolper’s film came before Gagarin’s milestone, of course, but it featured exclusive footage from Russia of Sputnik and such. The point isn’t the film’s relevance to the anniversary, though; it’s that it needs to be made available for doc aficionados like myself. Who Wants to See Sidney Lumet’s Rare Oscar-Nominated MLK Documentary? 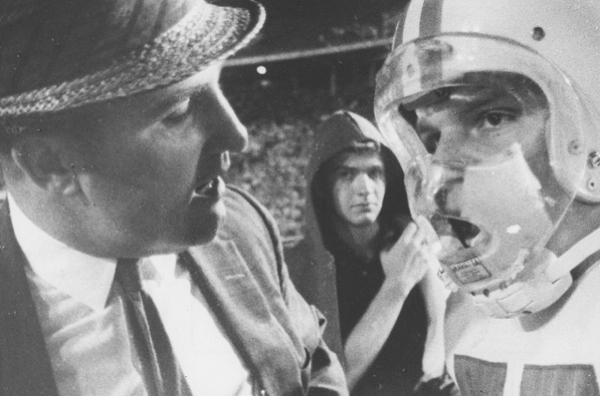 Sidney Lumet directed a whole lot of movies, but only one of them is a documentary. 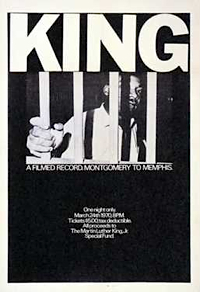 And sadly this Oscar-nominated feature, “King: A Filmed Record…Montgomery to Memphis,” has been unavailable in really any format accessible to most Americans for many years. The original cut features extensive archival footage of Martin Luther King, Jr., as well as onscreen readings of his speeches, by the likes of Harry Belafonte, Sidney Poitier, James Earl Jones, Paul Newman, Joanne Woodward, Ruby Dee, Bill Cosby, Walter Matthau, Burt Lancaster and Charlton Heston. 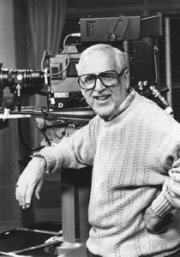 Co-directed by Joseph L. Mankiewicz, and selected by the Library of Congress for the National Film Registry in 1999, it is a film I haven’t yet seen. Few recently have, I guess, since it initially screened one day — March 24, 1970 — in its 185-minute entirety at more than 600 cinemas, later aired a few times on commercial TV and then was cut down to less than two hours for a VHS release (with all celebs but Belafonte removed). Apparently the 3-hour cut screened at NYC’s Museum of Modern Art earlier this year, and I’m very sad that I wasn’t aware of the event. Doc Talk is a bi-weekly column at Cinematical.com dedicated to non-fiction cinema. Which film is more likely to become a documentary classic, ‘Inside Job’ or ‘Exit Through the Gift Shop’? 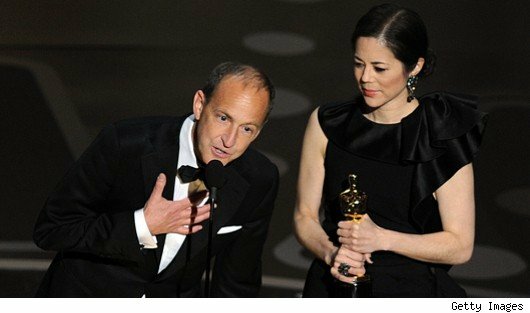 Regardless of our preference, we can all agree Banksy’s Oscar-losing fan favorite is a more timeless story and will likely be more enjoyable with repeat viewings. Charles Ferguson’s Academy Award-winning look at the financial crisis will certainly remain a great piece of historical document but probably won’t be revisited often for entertainment or artistic value. And sadly, like many timely docs, it could even one day be forgotten, like Lee Grant’s 1986 Oscar-winning Reagonomics critique ‘Down and Out in America,’ which is pretty obscure only 25 years later. Continue reading this column at Cinematical.